So, I’ll admit…. I don’t cook. It’s not that I don’t like to cook, it’s just that…. well, lets just say depression took away my love for cooking a number of years ago. I, however have a freezer full of meat. Meat I’ve gotten on clearance, that I buy & throw in the freezer when I get home, because I keep hoping my love for cooking will come back. I really have been hoping to want to start cooking again. I pulled some meat out of the freezer, and it happened to be stew meat. Hmmmm…. 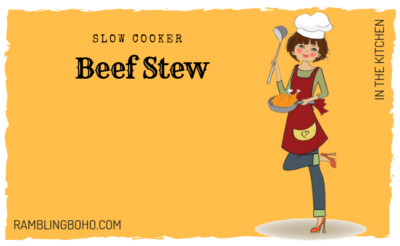 Well, what is there to do with stew meat besides making stew? So, I decided to make stew. In the crock pot. Now personally, I don’t like stew, but Mr. SnuggleBunny does. I have no clue why I bought the meat in the first place. But, why the hell not. 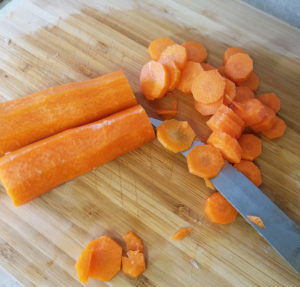 I found a simple recipe on AllRecipes.com, one of my favorite recipe sites. It was a simple recipe. I cooked it as is without tweaking anything. The family liked it, that’s for sure. So, I thought I’d share it with ya’ll. 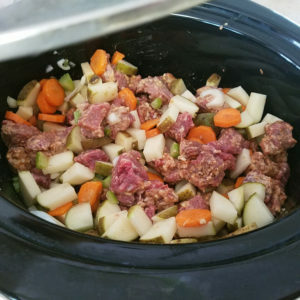 Recipe by: BUCHKO on AllRecipes.com "A hearty, savory slow cooker stew with potatoes, carrots, celery, broth, herbs and spices. You won't be slow to say 'yum'!"